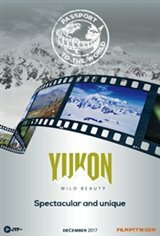 For several people, the Yukon represents the end of the world, with its pure, natural untouched wilderness stretching all the way to the Arctic Circle. And they're right! Home of the Gold Rush, the Yukon is home to many other natural treasures. Seventeen of the highest peaks in Canada, as well as the largest ice fields outside of the ice caps, can be found within its borders, at the Kluane National Park and Reserve. Add to that the amazing midnight sun, Aurora Borealis that stretch as far as the eye can see, and a unique wildlife, these all combine to make this the outdoor enthusiast's dream. Its origins are still solidly anchored in its history and its vibrant communities continue to forge this land, a land that is even bigger than nature, in ways that defy the imagination.